In a starred review, Booklist called Alyson Gerber's first novel, Braced, "a masterfully constructed and highly empathetic debut about a different kind of acceptance.” With Focused, she explores even further how, when life gives you a challenge, the best way to face it is with an open mind, an open heart, and the open support of the people around you. I absolutely LOVED Gerber's previous book, Braced, and was really excited when I saw she had a new book coming out. I thought she did a beautiful job helping us understand the challenges the Braced protagonist was dealing with, and I feel like she will tackle Clea's ADHD with the same care and candor. They had me at rom-com. Seriously, I have a love for rom-coms, that knows no bounds, and am excited to see more and more of them lately. 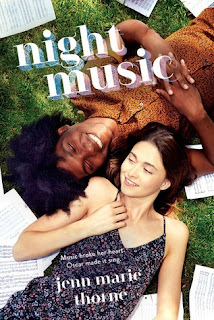 It's also set in my hometown, which always seems to delight me, and from the synopsis, it sounds like not only does the author bring humor to this romance, but also incorporates issues of substance. Focused sounds wonderful! Speaking of rom-coms, have you seen the trailer for Isn't it Romantic? I want to see it so much! That movie looks hilarious, but, I mean, when is Rebel Wilson NOT hilarious? I love any books that feature people, who are fiercely passionate and dedicated to something, and that something being music is a plus for me. Both these titles sound great, Sam! I hope they live up to your expectations. :) I was really eager for Free by Kristen Ashley, which released in January. And it was awesome! I am ashamed to call myself a romance reader and admit that I have yet to read something from Kristen Ashley. Focused sounds cute! I used to read a lot more contemporary when I was younger and it sounds like one I would have loved! I seem to go through cycles. I read a lot of fantasy as kid, contemporaries as a teen, and when I started pleasure reading again, I was reading my daughter's books so fantasy, paranormals, and dystopians. But, my sweet spot is contemporary, and there never seems to be a shortage of great ones out there. I hope you enjoy them and thanks for sharing. I hope I can get a review copy or my library gets them so I can read them. Focused sounds soooo good. I haven't read Braced, so I'll have to check it out too. I really, really enjoyed Braced. If you like middle grades, it's a wonderful book. 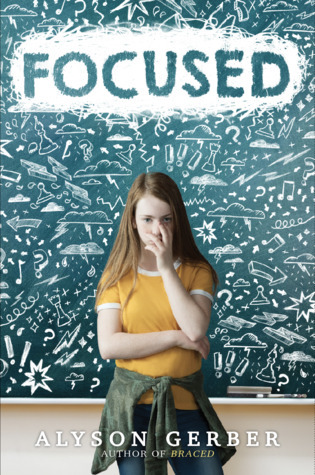 Focused sounds like such a timely book, there are so many kids out there that are dealing with ADHD. 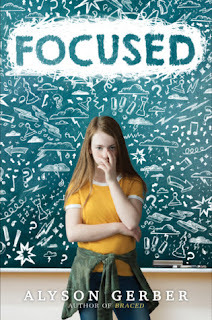 The author did such a great job with scoliosis, I feel like she will tackle ADHD with the same sort of sensitivity. Oh yes, a nice rom com book, I have been craving those during the winter. 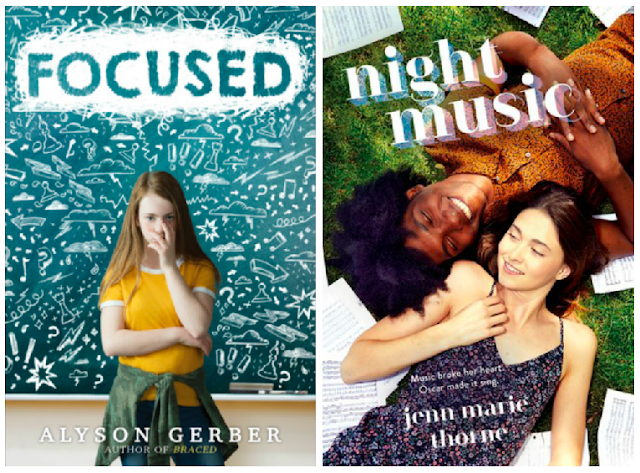 I have a bunch of adult rom-coms, but I can never find enough of that in YA, so, I'm excited. Ahh, these both sound good. Focused sounds really good as my daughter has ADHD. I will have to add these to my TBR list. I hope you get a chance to grab them! I actually got an approval last night for Focused, so YEAH! Both of these sound great. I really like the NYC summer setting for Night Music. I grew in NYC, so I always love a book set in the city. Both of these sound fun and are new authors for me. I like the covers too. I have had Thorne on my radar for a while, but have yet to read any of her work. Hopefully, this will be my first. I just got approved for Focused, so keep a look out for that one. These both sound really good! I like that FOCUSED deals with ADHD. So many people have the condition that it's always good to understand more about it so that those of us who don't can be more educated and empathetic. ADHD definitely affects many people's lives, and I am confident that Gerber will do a wonderful job with it. I grew up in NY, so there are a LOT of books set in my "hometown". I did get close to where I live now with My So-Called Bollywood Life though, which was even more exciting, since Iselin is by no means at the level of NYC. I hadn't heard of Braced before but Night Music is on my wishlist!! That sounds like it is going to be amazing and I am so intrigued to see where that storyline is going to go. I saw a RT & Follow giveaway on Twitter from the author. I am keeping my fingers crossed that I get lucky and win Night Music, since the publisher already rejected me on EW.